DCNC-RTR-Performance Big Housing for Router Kit Ballscrew | DamenCNC B.V.
Extended CNC-controller for our DCNC Router Kit Ballscrew. 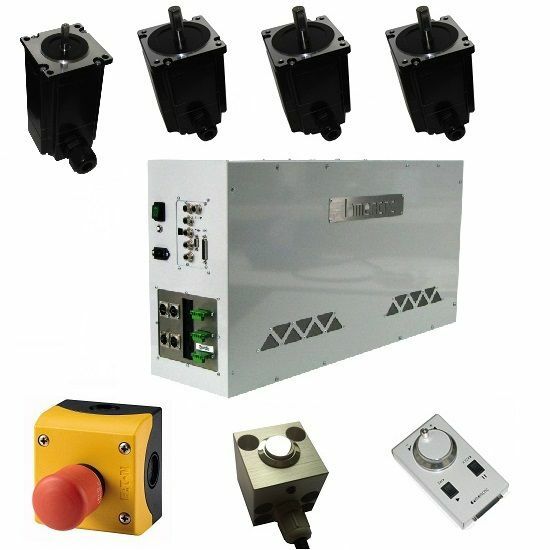 It can control the 4 open loop stepper motors and the main milling motor, but also the optional Electric Oscillating Tangential tool. This controller is also equipped with extended I/O.